Production-spec Tata Altroz spotted: After getting a glimpse of the production-ready Tata Altroz at the 2019 Geneva Motor Show in March, we have now got a glimpse of the road-going version of the hatchback. How different is this version from the one showcased in Geneva? When is the Maruti Baleno-rival going to launch? All the answers here. 2020 Mahindra Thar Spotted in production form: The revered off-roader from Mahindra is set to undergo a modern makeover to pass the test of time as well as stricter regulations that are set to kick in by 2020. The 2020 Thar was recently spotted testing with production-spec panels for the first time. Here are the details. MG Hector set to launch in June: MG Motor’s first SUV for India, the Hector, is set to launch in a couple of months. It will pack some serious equipment, including a big 10.4-inch touchscreen and an eSIM for on board internet connectivity as well as AI tech. Here’s what the hype is all about. Renault Kwid EV debut in China: China has seen a flurry of EVs in the recent past but this one is special. 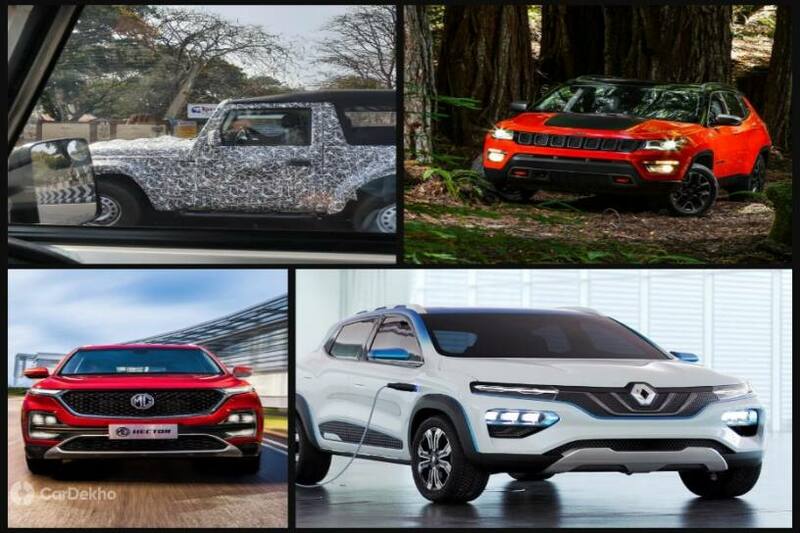 Called the Renault City K-ZE, this Kwid-based EV is not only set to make its world debut at the 2019 Shanghai Motor Show but is also on the cards for the Indian market. It is likely to rival the 2020 Maruti WagonR EV when it comes to India. So here’s what you need to know about it. Jeep Compass Trailhawk Launch Date Confirmed: If the current 4x4 version of the Jeep Compass wasn’t enough for you, then you’re in luck. Jeep’s much awaited off-road-oriented Compass Trailhawk is all set to launch complete with a 9-speed automatic transmission in its diesel avatar. Click here for launch date and further details.